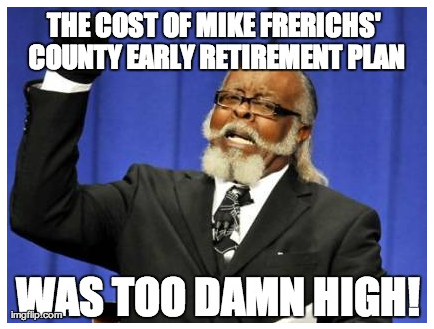 Mike Frerichs' 'Early Retirement Plan' for Champaign County workers had quite a bit of unintended consequences. The county clerk from Frerichs' time as auditor, Mark Shelden, says Frerichs proposed an early retirement initiative in 2003, which ended up leaving the county's IMRF fund $2.5 million in the hole, forcing the county to pay $3 million in bond repayments. "His decisions which were viewed by many people to be motivated more by politics than good public policy resulted in his removal in 2006 as IMRF agent," Shelden said.